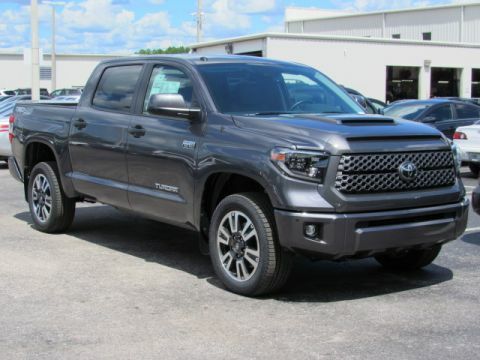 Only 3 TRD Pro Double Cab 5' Bed V6 AT models left in stock! 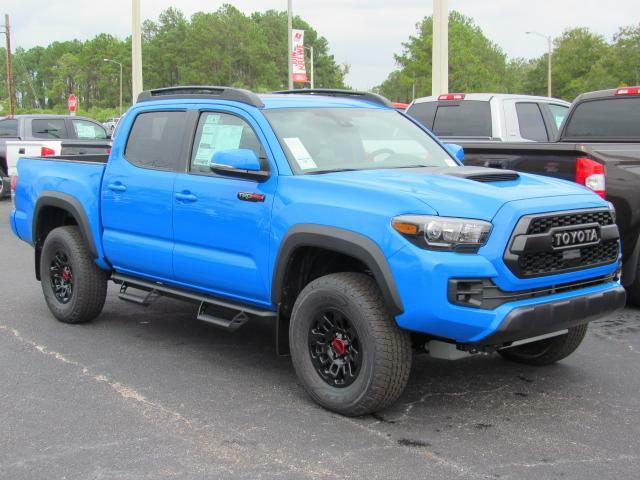 Get a rush of adrenaline behind the wheel of our 2019 Toyota Tacoma TRD Pro Double Cab Four Wheel Drive in Voodoo Blue! Powered by a proven 3.5 Liter V6 that offers 278hp while matched to a 6 Speed Automatic transmission for astonishing passing authority. Endowed with multi-terrain select, crawl control, and an electronically locking rear differential, our brawny Four Wheel Drive truck helps you tame the toughest trails plus helps secure near 24mpg. Experience the ultimate in performance and control with TRD-tuned FOX internal Bypass shocks. 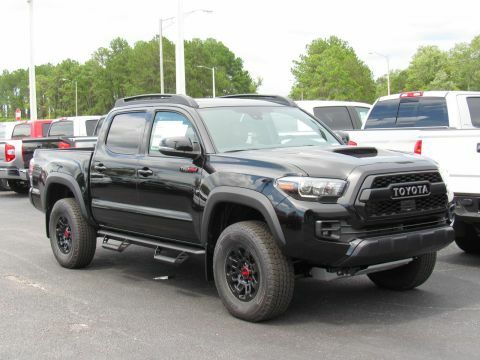 You'll be impressed with the powerful bite of the V6 with cat-back exhaust along with brisk acceleration, the power to tow and haul, and near 23mpg on the open road in this confident truck. 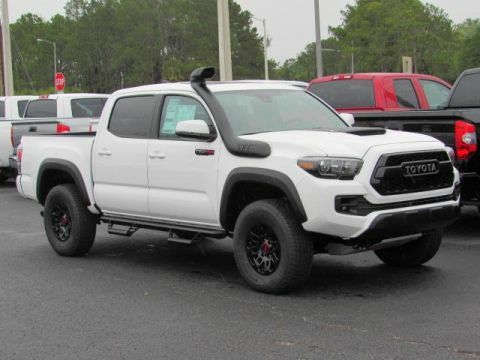 Check out our photos and admire the heritage black-out grille, bright LED fog lights, and skid plates that makes our TRD Pro the kind of the road. The well-designed cabin puts you in command with unique badging, key-less entry, leather-trimmed heated seats, a multi-information display, power windows/locks, front dual-zone automatic climate control, and an integrated backup camera. Entune Premium Audio with integrated Navigation and App suite, wireless smartphone charging, available satellite radio and HD radio keeps you in-the-know and entertained along the way. Safety is optimized behind the wheel with the toughness you expect. 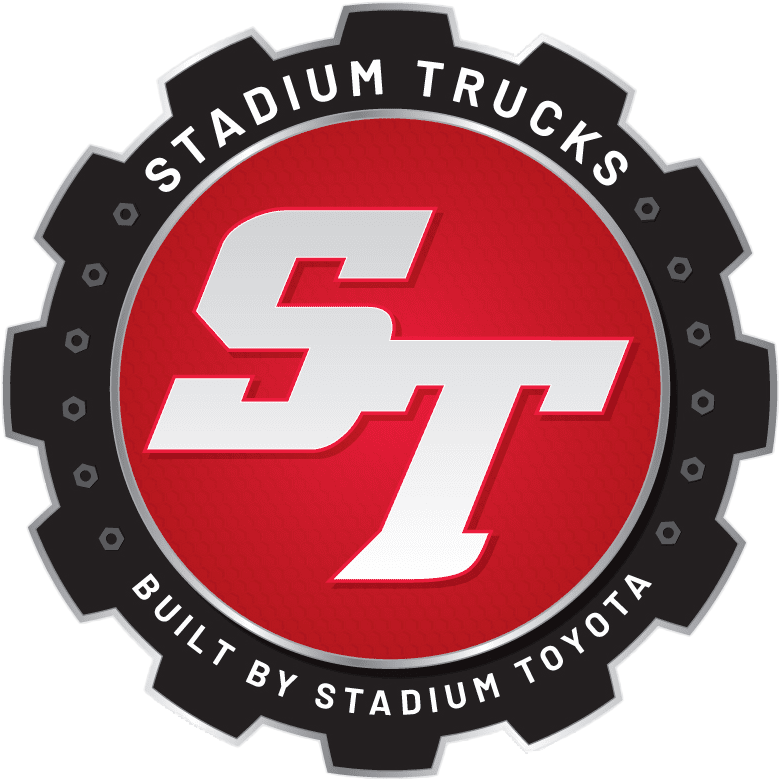 Tacoma features a high strength steel construction and advanced safety features of our Start Safety System such as a vehicle stability control, traction control, and smart stop technology. Thrive on the drive...get in our Tacoma! Print this page and call us Now... We Know You Will Enjoy Your Test Drive Towards Ownership!